There are tons and tons of websites who spend billions on digital marketing, web infrastructure and more in order to carve a niche in the market. Internet marketing services is a virtual “gold rush” industry right now. It is a booming industry with opportunities galore. Every consumer looks online for local merchants. Business owners understand this and are pulling advertising dollars from traditional media and investing billions into online search. But here is the catch! If the merchant’s website is not available on page one of local search… then… their website is virtually invisible. The local merchant, on the other hand, is hands full on his business and running around doing million things on his plate. Dealing with vendors, servicing customers, clients and patients, these folks do not have the time or even the inclination to cater to these matters and figure out how to maintain and keep their websites at the top of the search results. This is your cue! This is when you make your entry. However you should know what you’re doing. Wild-eyed enthusiasm and a flare for internet marketing is not enough to succeed. You need to keep some things in mind before you take a shot at the opportunity you have been offered. Businesses love customization and when it is specially customized for them, it’s a jackpot! Local merchants want internet marketing services customized for their business. They would anyway prefer being a big fish in a small pond rather than being a small fish in a big ocean. By selling tailor-made websites you not only make your work easier but also attract the best clients. Potential clients will not know who you are and what you offer unless you know how to actively market your services. You may possess all the required technical skills and hope that clients will line up outside the door of your office, but this won’t be possible unless you apply the principle of Direct Response Marketing. You’re not just telling people your business name and phone number, but you offer specific lead generation content that positions you as the internet marketing expert they must call. Even more important, when done right, the content pre-disposes prospects to your service and agency. If you don’t proactively deploy a system like this to generate leads, then you will struggle to build an agency that can put your face on the street. High search engine placement without a conversion strategy is useless. There are many agencies who make false promises and later fail to deliver. Either they couldn’t get the client’s web rankings to budge or they got the client ranked high in the search engines, but they didn’t know how to make the client’s phones ring. Successful companies at Orange county web design has a different approach to this problem altogether. They not only deliver better rankings but also offer multiple ways to get our clients’ phones ringing. Thus, the clients get more business and a measurable ROI on our services. It is very important to research when you are making broad assumptions about entire markets. You need to put Google to some use. You need to know which prospects within any market offer you the greatest opportunity. What a business would look like tomorrow, if suddenly, they had the top performing 0.1% of the, let’s assume, 200K independent businesses in their area. You need to research and research to succeed. Interview anyone you can get your hands on in the market you want to serve or at the level you want to help. Ask about their problems. Have them walk you through their workflows. Not just for doing their work but ask about the steps they take to procure contracts. Conducting customer development interviews will teach you how to win future work of that size. You need to network with other agency owners above your level. Grab lunch or coffee with others doing the same thing you are, but who are further along than you. There are over a million agencies worldwide. You need to find companies that have the type of work you want in the future today. Think about your goals. If you’re selling low four figures now, and you want that first seven figure project, how would you do that? If the answer to that question is you’d need to start working with different types of clients. Then start down that path of exploring how to get around other people. Change your habits. Instead of attending the local WordPress meetup, attend a conference that is not in our industry. You’ll quickly be blown away at the millions of dollars spent. We all have heard the idiom that ‘slow and steady wins the race.’ Well this applies here too. You need to progress with every deal you make till you reach that seven-figure finish line of yours. The seven-figure dream that might have felt impossible before is well within your grasp in this lifetime. I don’t recommend going from selling a four-thousand-dollar website to a million-dollar project next week. There is much risk with more significant projects. There have been several agencies who have gone through a needless stressful downturn because they over-committed their business to a big project. You need to keep it slow and steady. Success doesn’t come overnight. You must put in loads of effort day and night to achieve something in life. It can take years. But what is important is to have a vision of where you see yourself and your business. You need to set your mind to this goal. Determining that you want to get there one day is the most critical part of the whole opportunity. Bigger isn’t always better. There are several agencies who make more profit than the big whales in the ocean. Some have incredible flexibility in where and how they choose to work. Finally, the most important thing is to know why you want to sell a seven-figure project. Is it to satisfy your ego so that you can shout at the top of your voice to let other people know about how successful you are? Frankly, this reason is never ever going to get you there. However, if you look at the organizations making these investments, and see problems, you could help them solve, and you see that as rewarding and meaningful work, then perhaps this is a journey you should consider. Regardless of all these things, you should focus on pushing yourself out of your comfort zone. Whether it is with the size of work you are pursuing, or the focus you have on a specific market. Growing yourself is just as important as increasing your revenues. Do you agree? Is design a process? From a raw idea on paper to a final product is a bumpy ride. And it is not possible to undertake this journey without clear collaboration between the designer and the development team. If there is sync between the designer and developer right from the beginning, then the entire process becomes simpler. People often mistake design and development to be two separate entities. That is where the problem lies. If the whole team works as a single unit from the beginning till the end, then the process becomes transparent. What happens if designers and developers work as segregated units? This is a very important question that is not addressed much. But before moving on to the ways to collaborate for better design, we need to have an understanding of this. 1. Designers, before meeting developers, go through an entire phase of research, analysis and implementation. Once they have decided on a certain design they meet up with the developers to give a face to their design. This is where the problem starts. 2. Developers have a completely different perspective to see things as compared to designers. Designers understand the design intent as they are designing the product. But we forget it’s the developers who bring design to life. 3. Also, sometimes designers’ ideas may be difficult to implement. They are unaware of technical possibilities that can make solution better. 4. Developers also tend to feel disengaged because they are just handed the solution. Due to lack of understanding of each other’s domain there are a lot of unnecessary back and forth loops. Hence to provide the best user experience, Designers and developers should be open to ideas and cross-collaboration. Designers should try to evaluate the design in terms of coding efforts and developers should try to understand the basic design ideology. So, how should they collaborate for a better design? In the present time, communication is the key to success. This merged with collaboration is the ultimate recipe to prevent yourself from wasting money, time and labour in the early, middle or late stage in producing a product. So, let me list down some useful tips on how designers and developers can collaborate to produce better designs. 1.Involve everyone in the research phase only. Every project starts with design research. You try to understand the people you are designing for, their needs and current behavior and the context in which they will use the product. This is the perfect stage to involve the developers. When this happens, the developer working for these products will know the real motives and goals of the product. They will treat the product as belonging to them. Brainstorming is the need of the hour! 2.Asking the developers to take notes is also an option for collaborating work. You can ask them to make different notes for different things when the designers are in a discussion with the clients. This will make them focus on the remaining project rather than trying to remember the questions they had or the idea of a certain team member. 3.Designers should ask the developers to share their opinions immediately after the discussion session is over. The entire team should sit down together to go through all the observations and the developers can point out what stood out for them and what all is possible via coding and what things are beyond their reach. 4.Both the parties should sit together to look for meaningful patterns. This is the where you get together and review all your notes, make observations and turn them into ideas. This will help your team to be more informed, invested and empathetic with users from the start. You cannot do without a developer at this stage. This is where design truly starts. 5.Now is the time to turn all your ideas into products. Designers and developers nee to come together to make sense of what all has been learnt and come up with design principles and UI concepts for the product. Developer’s presence in the interface sketching is essential as they can provide you with more ideas and, most importantly, give you an insight on technical limitations or opportunities right away. 6.Share the ownership of the project with your team. They automatically become more proactive when they feel a sense of ownership with the project. During this stage of implementation, a lot of hit and trial experiments are conducted to finalise on a design prototype. It is not essential for the developers to be present for every experiment, but it is the designers’ duty to share the results with the developers to keep them updated and involved. 7.Designers and developers need to have an understanding of each other’s domain. As a designer, you should try to increase the participation of the developers as much as possible. You should involve them in your user studies or research and the process of deciding on a design. And as a developer, you also cannot sit back with folded hands. You also need to take efforts to be more active and participative in the design process. It is not important to be present at every research session, but you cannot remain alien to your users. That will prove to be a big setback for the project. 8.The designers should design keeping development in mind. As discussed, a major issue that both designers and developers face is that sometimes a certain design cannot be coded and therefore it messes up the entire project. In order to avoid this, the designers should aim at creating a clean and simple UI. Standard knowledge of HTML and CSS on the designers’ end can prove to be very useful for the project. Maintaining consistent colour palette, using grids and breakpoints keeping in mind the design responsiveness etc can help in making the code modular, reusable and consistent. 9.Developers should also work to understand design intent and all the latest design trends. They need to step out of their comfort zone and develop an understanding of how design impacts users. They should participate in brainstorming design discussions and help in making this entire process effective. Having basic knowledge of graphic design can also go a long way in creating a better design. 10.Designers and developers should share the same workplace. By workplace, I mean that they should move in one room. The entire team should work from there. This helps the designers and developers to have a better understanding of each other’s areas and you learn about the subject matter of each other’s field of work. Since developers are sitting right across you, they can immediately clarify any design question or suggest alternatives. All these things make life easier for everyone and this all comes together in the creation of a beautiful design. 11. Lastly, communication and respect are the two most important ways in which designers and developers can function smoothly. Both the parties should remain in constant touch with each other and update one another on the product status. They need to respect each other’s job and value their time. This will make both feel valuable, appreciated and comfortable. Hence producing a quality product, best design! Hence, we now know that sharing design with developers is not limited to sharing specs, assets, interactions etc. It also includes understanding the design intent and behaviour for every segment of the application. Clarity of design is integral to each and every phase of the design cycle. Thus, designers and developers should work as a team to find an optimum solution. This in no way suggests that development takes priority over design. 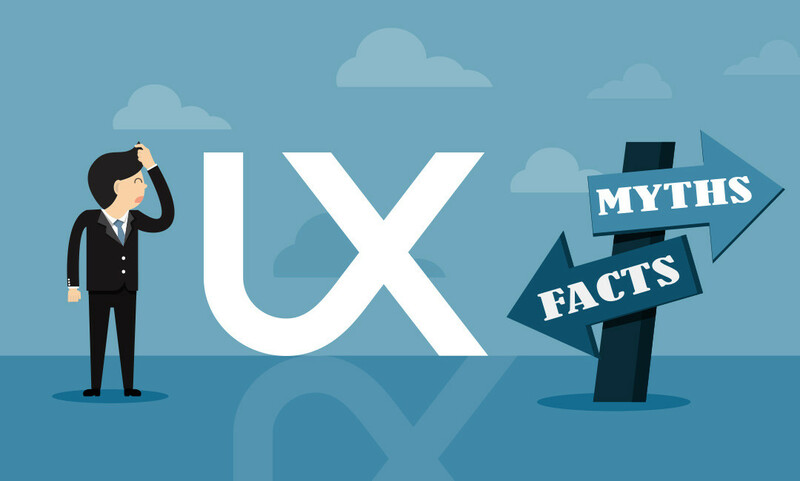 I believe to create great user experiences, design and development need to go hand in hand, and not as isolated processes. As good design attracts users, good code at the backend hooks users to the application. Without each other they cease to exist. Modern CSS development has come a long way with best practices made easier through various tools available on the internet. And with the right tools you can build a website from scratch in less than a day. Don’t worry although this does require a little bit of experience, but web development is relatively easier to pick. There are tools for creating CSS-based animations, responsive menu generators, apps for collecting stats and sorting CSS, generators for creating pie and circle menus, apps that will calculate EM sizes from PXs, tools for minimizing and cleaning your CSS, resources for generating CSS animations, converters for turning images into base64 encoded strings, generators for creating Flexbox layouts and much, much more. The best way to speed up the workflow of a device is with tools that will self-regulate your process and contribute towards widening your knowledge. And what if I tell you that you can get all these areas covered and that too for free? 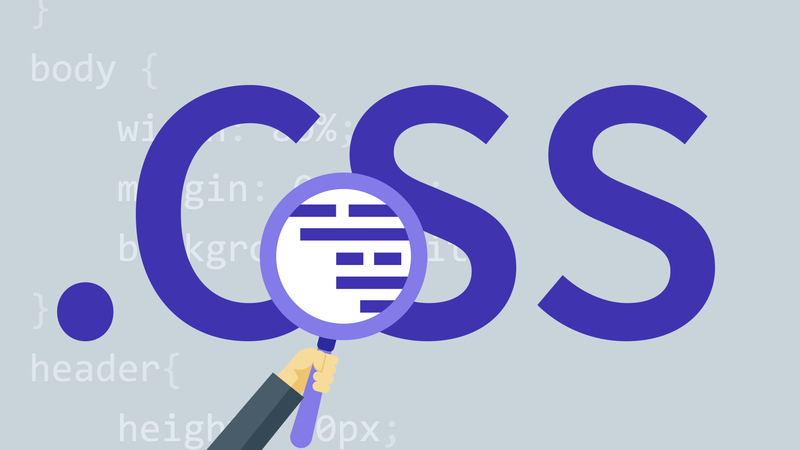 way or the other will help you in finding quick solutions to some of the embittering and time-consuming aspects of working with CSS. The team at CSS Reflex has put together a huge frameworks list. Each framework includes a small icon along with details about the license and links to the main site. It’s all organized alphabetically so you can scroll through easily to mark whichever ones you want to try. At RawGit, you simply copy the URL of any file in a GitHub repo into this tool, and it’ll spit out a raw content URL with proper headers for embedding into a web page. You can do this with any CSS/JS files in any GitHub repo online. This way you can demo literally any GitHub project without downloading files locally. This is by far the best CSS animation tool to date. This is a very easy to use tool and quite detailed. It lets you select which styles you want for your animation and auto-generate all the keyframes. You can even pick if you want CSS prefixes or not. Also, this animation editor contains dozens of CSS3 techniques at the click of a button. The CSS3 Generator is one of the best tools for getting quick & easy CSS3 codes in case you forget the syntax or just don’t want to type it all out. But there is a small drawback. It does not support custom animation with keyframes. Therefore, it works well in combination with Animist. Although it does support the CSS3 transition properties like gradients and flexbox. WordPress developers are always striving to create the best and WP Hasty is one such commendable achievement of them. It is one of the best and most detailed code generators out there. It has all your work sorted out for you. You just select what you want, pick your settings, and then copy/paste the code right into your functions file. Pretty cool, right? The features include WP menus, custom taxonomies and much more. Mega tags are information inserted into the “head” area of your web pages information which is not seen by those viewing your pages in browsers. They define the language, the page size for mobile, and many other settings like social features. It’s a social meta tag generator site where you can input what type of site you have and what type of meta tags you want. It works on Facebook, Pinterest, Google+, LinkedIn and many others. Create CSS3 is an app that lets you generate the entire CSS3 code. It is quick and easy. If you are planning to add quick and easy buttons for social media onto your site, then Sharing Buttons is the tool for you. Sharing buttons makes it easier for the audience to spread content around the web. It runs with SVG icons and uses HTML for opening new sharing windows. This tool is one of the few social sharing button scripts that gives you a lot many styles to pick from. Best known for being the only framework that makes responsive email easy, MJML is one of the most favourite tools of many frontend web developers. Frontend developers are often given the task to develop newsletters. Newsletters obviously don’t have the easiest coding standards. This is where MJML framework jumps in to help. It has its own custom syntax for building newsletters. It also has the feature of live editor where you can test your newsletter designs in the browser itself. The power of being able to code right in your browser is one of the biggest evolution in web development. And the tool that sits at the top here is CodePen. It is one of the largest communities for web designers and developers to showcase their coding skills. Clean CSS is a free website with tons of small webapps for minifying code, cleaning out duplicate codes, and auto-formatting whatever code you want. Code formatting is a complex task. Although some web developers prefer creating their own scripts to regulate minifying, but it is advised to use someone else’s script as it makes the task a lot easier. Clean CSS is a valuable tool as it has some interesting features. Firstly, it has different apps for different notations like for HTML, CSS, JS and even JSON. Secondly, it keeps getting updated with new tools often which makes it quite resourceful for code cleanup. A news feed that keeps you inspired and informed, Panda Reader, is the best web-based RSS feed reader with an inclination towards the web design crowd. It is an information tool that facilities discovery by bringing your favourite websites into one place. You can choose among dozens of popular tech & design blogs along with larger sites like GitHub and many more. The feather on the cap is the facility of build-in bookmarking letting you bookmark your favourite snippets from around the web and keeping them organised. This post gives you an insight into some of the best free web-based tools and apps for CSS. These tools and apps are modern, modular, responsive and cross browser compatible. It is on you to make selection based on performance, ease of use, cross browser compatibility and if it is updated regularly. 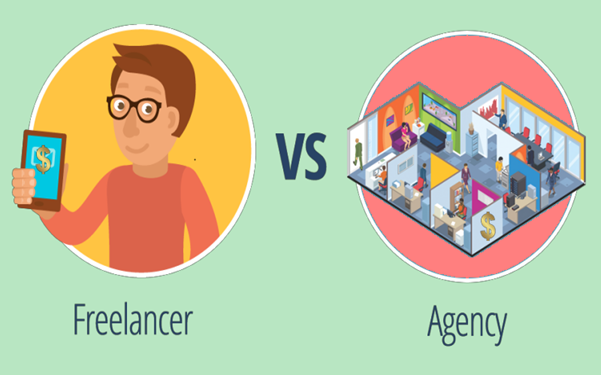 Hey Orange County: Freelancers Vs Agencies: Whose Side Are You On! Planning to build a website? Who would you look for? A team of experts, eh? A small army of professionals each with their own specialty or would you trust a freelancer with all the vital functions of your business? The truth is that workspace, these days, is no longer confined within the four walls of an office anymore. Businesses are running with people working from all around the world towards a certain project. Outsourcing business is becoming popular these days because many business owners are realizing how great of an impact outsourcing can have on their organizations. The only concern before turning to outsourcing is who to hire? It’s not an easy question and I don’t think there is any perfect answer. Most of the companies believe that hiring an agency will result in unnecessary expenses, since agencies charge much more than freelancers do, as they need to cover their overhead costs. Some believe that freelancers cannot provide them with the same level of quality that agencies can as they have professional experts. The bottom line is that each of them has its advantages and disadvantages. Who can do it better depends upon who among the two would be more suitable for a certain project. Before making a decision though you need to frame the objectives, expectations and budget for the project. Let me list down 7 factors for you that would make your life easier when choosing between a freelancer and an agency. And hopefully lead us to a conclusion as to who is better between the two. It is believed that a professional agency provides you with better quality of service as they have a team of experts who specialize in their respective areas of work and have a vast experience of working on projects over the years. They promise to deliver excellent service as their in-house experts are thorough professionals and outsourcing your work to them is a safe choice, on the contrary, you can not expect an individual freelancer to be an “all-rounder”. There are freelancers who claim they can handle multiple projects that are totally opposite to each other but they specialize in one specific area only. A web designer can provide you with one amazing design for a website or a content writer can provide you with some good quality content. This is the greatest benefit of hiring a freelancer. You will find a freelancer with a specific skillset more easily than you can find an agency that has a team member who can meet your project-specific requirements. Professional agencies are believed to be more efficient in comparison to freelancers. They have a team of specialists in different fields so it is easier for them to quickly find the right person for the job. They have an established workflow and can dedicate the right team for a certain work and meet deadlines. This doesn’t obviously imply that freelancers can’t achieve all that. They work round the clock to complete your work with utmost accuracy and dedication. It totally depends upon you to find the perfect person for the job you desire to get done. A well grounded freelancer will always provide you with an effective and efficient result. However, some freelancers are known to take up a lot of projects some time in order to earn quick cash. This can hamper their accuracy and reflect in their work. Consistency is one of the major factors you look at when outsourcing your work. And professional agencies fit in this bracket as they will provide you with consistent final products because their entire team will be working together to reach the desired results. This is not true for freelancers as they will not be working together under one roof and will be taking care of their individual endeavours. If you hire freelancers separately for each and every domain of work then you can still dream of maintaining consistency here. There is no denying the fact that freelancers fit the budget option. Professional agencies charge quite high for their services. They are expensive than freelancers because they simply need to take care of a lot of overhead costs. But with agencies you’re getting good value for money. The quality to price ratio is truly invaluable. On the contrary, you are paying freelancers only for the work they put in, measured by hours. This greatly reduces the cost. 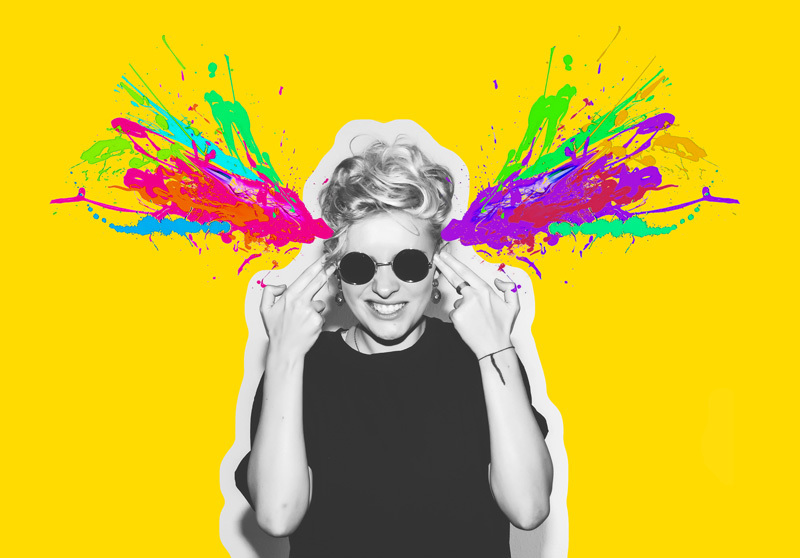 Freelancers charge fewer overheads compared to a creative agency. Hence when it comes to smaller projects a freelancer is a good choice as he can deliver quickly, and at a much lower price. However, agencies also charge more because they bring a lot more to the table. So if you have the budget, use it and don’t let the price determine whether or not you will outsource to a particular agency. Freelancer rules the world when it comes to flexibility in work because with them you don’t have to worry about logistics. They are willing to work long hours and adjust their work timings according to your schedule. Their priority always remains to deliver your work effectively. Unfortunately, this is not the case when it comes to professional agencies. They run on official work hours. Their goal is also to provide you with efficient and effective work but within a certain time frame, that may or may not be suitable to you. So they lack flexibility to a certain extent. It is not uncommon for freelancers to be juggling a lot of projects at the same time. There are freelancers who are deluged with work. As a result of this they, sometimes, have to turn down a lot of work because they simply do not have the time to do it. Therefore, chances of you finding a perfect freelancer for a particular job and him having the time to do it are pretty bleak. Professional agencies, on the other hand, are always ready to work and handle whatever comes their way. They have a team of experts and can easily manage all the tasks effectively because of the constant workflow that exists in a professional environment. No matter how professional your freelancer is but this is still one area where freelancers tend to lack. When working with freelancers, you may face unforeseen disruptions like an illness, lack of punctuality etc. This is where hiring a professional agency is a better option. They seamlessly continue working on your project even if one of the members calls in sick or simply takes a day off. They work to meet deadlines. Hence with an agency your daily operations will hardly be disrupted ever. Like the team at Orange County Web design works alongside you with patience, professionalism and integrity. They make sure all lines of communication are open, timely, and met with ease. They partner with you each step of the way. Whether you are hiring a freelancer or a professional agency, in both the scenarios, it is a leap of faith because you are trusting people you have little to no knowledge about in handling your project. Either you can hire an in-house expert or you could just hire a freelancer when and whatever work is required to be done. You can also go to an agency and leave it to them to take care of the work or the last option is to do it yourself! Your choice should depend upon the project requirements. If your work includes small and simple tasks that demand individual expertise then hiring a specialized freelancer is the way to go. It would be both cost-efficient and the freelancer, being an expert in his job, will not leave you disappointed. However, if your project is a bit complicated and complex and would require a team of collaborators to work on it together to deliver the required results then outsourcing an agency would definitely be a wiser decision. Just remember that no matter who you choose between the two, make sure that you know WHO you’re hiring! For the ones who are ignorant or unfamiliar with the term responsive websites, they are websites that are compatible across all devices from a huge desktop monitor down to a tablet or smartphone. They provide a seamless viewing experience for users of different devices. Many people use more than one device to view online content on any given day. They may look at a website on a computer at work and then return later on a smartphone. But they expect to be able to see all of the same content no matter what devices they happen to be using. 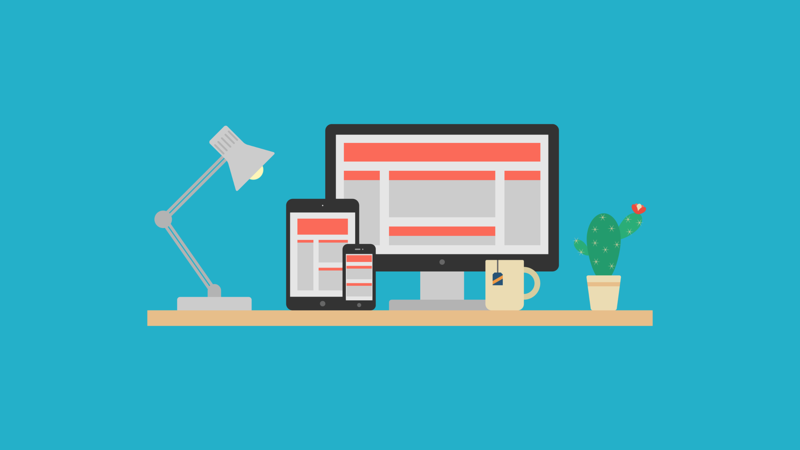 A responsive website delivers the best user-experience across all devices. Having a responsive web design can also prepare you for technological changes in the future. New devices with different screen sizes will be introduced and a website with responsive web design can adapt easily to the expected changes. Google is built for users. It is for the millions who are searching on the web. And Google is the most used search engine today. Users are accessing Google through various mediums, from a mobile phone to a laptop. Google will obviously act accordingly and favor those sites that meet the needs of the Google users. Google encourages responsive web design because it makes things easier for Google and improves the user experience. If there is only one version of a website, Google will only need to crawl and index one site. Having a responsive design makes it easier for users to find and share content across devices, resulting in a good user experience. The designers at Orange County Website Design are renowned for creating mobile responsive websites for your smartphone or tablet. Now the question that arises is that do responsive websites really attract traffic? If yes, then how do they do that? Let me list down 10 ways in which responsive websites succeed in getting high traffic. Google, over the years, has stated that fast-loading sites are favored in search results. This is one of the reasons why Google recommends responsive websites. Responsive website will adapt to the screen of the device and load faster providing a better user experience. Hence every website should be optimized to load as quickly as possible as page loading times is an important factor that is considered while giving ranking in search engine results. Users hate it when a particular website is slow and difficult to use. Users look for websites that are easy and quick in responding. If your website does not adapt to the user’s device and the page loading speed decreases then the user will definitely go back and look for more responsive websites. Faster sites that are easier to use will encourage visitors to use your site. A responsive website, therefore, will reduce the bounce rate with fast loading and easy to use navigation. Google and the other search engines show preferences for responsive websites. Keyword performance can help you create a responsive website that will help your business improve your SEO and increase conversions. In order to improve their search results for mobile users, Google is now going to change their algorithm so that the results of the responsive websites appear higher in the search engine results. It is a hard task to get noticed online. But if you have good SEO then it is possible to increase traffic on your website. The ones who have designed separate mobile sites have to face duplicate content issues because having a separate website for mobile requires a separate URL. The content on the mobile and the desktop site remains the same but the URLs are different. This hampers the Google search rankings and hence you fail to attract traffic to your website. A responsive website provides you with a single URL irrespective of the device and thereby focusing your SEO on a single site. Presently there is a major shift from desktop preference to mobile. More and more consumers are browsing online using mobile devices instead of desktops. Maximum number of people, nowadays, uses the internet on their smartphones or tablet. People like to visit websites that are quick and responsive. Hence, maximum traffic can be directed through mobile phones to your website. If your website is not responsive and cannot adapt itself to changing devices quickly then your bounce rate will be high and conversions will be low. If it is responsive, users will be able to scroll through your website quickly, thereby increasing traffic and online purchases and enquiries. The most important required element to achieve the goal of any enterprise is a good marketing strategy. Every business aims to earn as many customers from the target audience as possible. Responsive websites help in fulfilling this agenda as they tend to work smoothly in a variety of media and device types – desktops, tablet, smartphones etc. Thus, your website can be accessed by a larger audience which in turn will increase traffic on your website and attract more potential customers. Remember the time when you are searching for a certain topic and you finally think you have found it. But as soon as you open the link it reads- Go To Full Site. Fortunately with responsive websites there has been a change. Now there is no redirection, no awkward page or site renditions which appear different on the different platforms or may not load properly in many cases, and no duplicate content either. There is a website with same appearance and works equally well on all available devices. This helps in improving the user experience and attracts more traffic to your website leading to increase in conversions. As discussed in the previous point, responsive website enhances user experience. Hence by providing a seamless user experience, the chances of increasing conversion rates is higher. This is possible because your website reaches a larger audience now. For example, a mobile responsive site doesn’t need redirection, which in turn increases load times. This means that a user searching for a product or service on your website will find it easily and faster and thereby increase the chances of making a purchase. Responsive websites work on making the life of the most dominant group online- the smartphone or tablet users. They try to make social sharing easier for this section of internet users. Although social sharing won’t have a direct impact on your rankings but it will help in the growth of an audience for your website. A bigger audience will imply increased traffic and your brand will be searched more. This will for sure attract Google’s attention to your site. A website, on the other hand, not designed to work smoothly with the various devices will have a difficult time garnering an audience and convincing them to try social sharing on desktops or other devices. 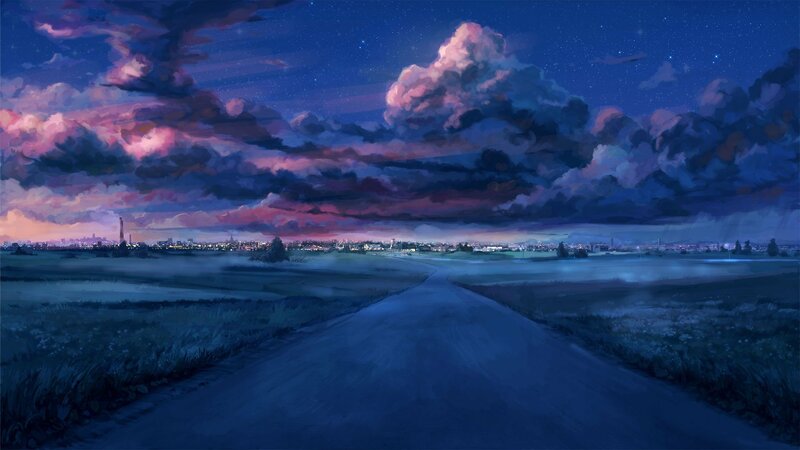 Last and the most important point is to keep up with the changing time. If you fail to update your website to the latest responsive trends, you will not only lose a section of your visitors, but will also miss out on the chance to get new ones from various other platforms. By employing the latest technology for designing your site, you not only enhance the user experience but also your website looks great when displayed across all platforms. This will increase your traffic and lower the bounce rates. With all this being said, we need to remember that all of this works to bring in more traffic and help turn more of your website visits into conversions, boosting your online profitability and overall revenue. Today, the design of your website must the capability to adapt to the medium your visitors will be viewing it from, be it a laptop, a desktop, a smartphone, a tablet or any other type of device. So if you have still not taken the road to responsive web design then, trust me, you are missing out on an amazing opportunity to boost your business. Don’t waste any more time. This cannot be truer than in the case of online visual content. When a user visits your website what catches the viewer’s gaze? A paragraph about how your company started? or the testimonial section filled with customer reviews ? It is a well-known fact that when it comes to online business content rich in visual elements, particularly images, is very well-received in the online world. Even if placed appropriately, the text-based content on your website should also be accompanied by a visual element that speaks about your brand and is easy to contemplate. Visual content can speak louder than words. When it comes to giving your audience the best experience, you want to capitalize on the emotional appeal of illustrations to communicate your message. Our eyes are immediately drawn to faces in everyday life. So using photos of people not only humanizes your brand but is a great hack to grab attention. So, let me first present you with the 6 types of visual content which will boost your online business in no time and take it to the next level. In the digital era, visual content plays a very important role in businesses online. Attaching riveting images with the text-content can attract more visitors on the site and pull more interest towards your business. High quality or professionally clicked images always require more investment from your end. Therefore, it is preferable to use original images , like the ones you clicked. This adds a sense of personal touch to your business and is feasible too. Orange county web design has created a compelling and eye-catching website by using warm colors and images that are pleasing to the eye and garner interest of the audience in the company and it’s activities. 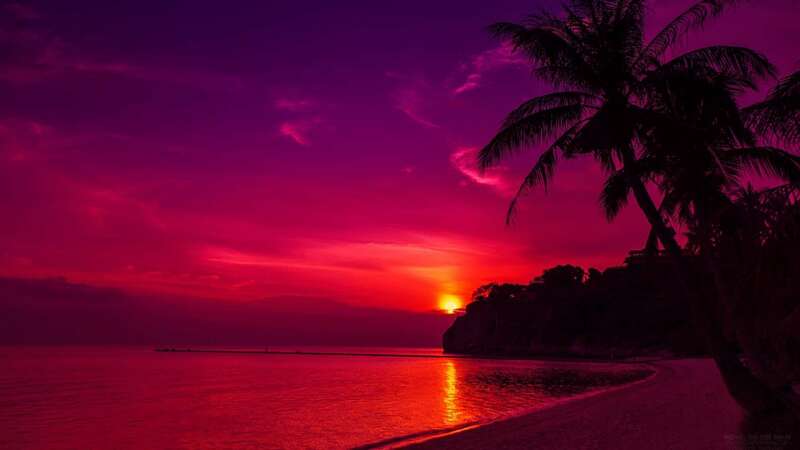 This is an example of how images and colors can attract audience. Designed by : orange county web design. If you’re looking to visually stimulate and boost engagement, video is your go-to friend! video serves as an extra clout for your business by demonstrating that you’re prepared to go the extra mile for quality. You can apply video content in several ways. It can be in the form of pre-recorded videos where you can be talking about how-to-do tutorials, demonstrations or instructions on some recently launched product. However, the thing that is in trend these days are the “live videos” culture. Unlike pre-recorded videos, live videos are more interactive and responsive. It opens up new possibilities of interacting with others and simultaneously gives the audience a chance to see an unedited and more participative version of you. So make sure that the videos are congruent with the overall style and ethos of your brand. An intelligible visual display, infographics if used correctly is an amazing tool for drawing upon all your data and statistics. Make sure that the layout and design are as impactful as possible. The combination of the right colors, shapes and fonts is essential to convey your idea. The information you choose must be accurate and contextually relevant. Sometimes even the most seemingly mundane things can be brought to life when presented as stunning visualizations. When you share your infographic via social media, it’s best to include a thumbnail image as well as a hyperlink to your site where the full image is hosted. This enables you to escape any restrictions based on size on social media platforms and bring more traffic to your site. What plastic is to Earth, gif and memes are to the internet. Social media is flooded with them and are a representation of today’s “web culture “. Both of these are used as an element of humour in a text and add an extra something to your online engagement. Not many would have thought of memes playing such a pivotal role in online content marketing. Given their humorous nature, memes act as a type of ice-breaker between the brand and the crowd. They are representative of an easy to create , quirky form of visual content and can provide some visual flair and chuckle to the website viewers. It is very important to build an emotional connection with the audience in order to pave way for your online business to flourish. It is in people’s nature to respond better to what they see as compared to other forms of stimulation. If your audience is ‘moved’ by your content, they associate the same sentiments with your brand, thereby inspiring loyalty. Some common visual elements that can be associated with positive or negative emotions include color, texture, words, photo style and shape. For example, warm and earthy colors like, yellow, orange and red tend to stir up positive emotions and symbolise optimism and happiness. The sooner you start preparing visual content and sharing it with your audience, the better it is for you business online. It drives traffic, leads, and sales to your business. And images play a very important role in SEO. They can be optimized for search engines by using relevant keywords in the description or title of the image. Make sure to reduce the size of the file to enable faster loading. This method helps in improving your search ranking. It is only read by search engines and not displayed on any social media platform or even your website. The above mentioned points would definitely help in improving your visual content. But have you wondered why do people respond to visual content ? The main reason why our brain responds to visual content faster than text-based content is because the information has been broken down. Articles and blogs, even though a popular form of content, tend to complicate the information. Breaking down these posts into Infographics or presentations can make it more appealing for the viewers and can be interpreted easily by them. And as long as customers can consume your content and understand complex information because of the visual guidance, you’ll generate more leads and sales. A website’s design is the number one criteria for discerning the credibility of the company. Consumers, before making a purchase are going to judge your brand on the grounds of the visual quality. If your website is not attractive or mobile responsive then the bouncing rate will be quite high and will affect your business. So it is very important to design and use the right images when doing business online. Use product images and high quality visuals to draw people in and enhance your credibility. Business these days has become less of a buy-sell process and more of an experience. In order to create a niche for your brand among the masses you have to involve them emotionally in your brand so that they know what your brand values. The best way to do this, as already mentioned above, is through video marketing. It costs nothing and it’s engaging because it gives users direct insight into the heart of your company. Marketing through visual content is a trend that is not going to fade away anytime soon. Online consumers spend more time watching videos than any other type of content. Can’t blame them – it’s undoubtedly very powerful. Generating high quality visual content which truly resonates with the audience is sure to win your brand commercial customers and a stellar reputation. Remember to consider the needs of your audience and don’t put out random content just to stick to an upload schedule. Be it any type of content, it’s the quality that counts, wrapped up in a box of excellent style. So, if you have not yet developed a strategy driven with visual content then it’s definitely time for you to rethink and give your business online – a makeover ! The mobile industry has developed by leaps and bounds in the last decade. This has led many web developers to seek shelter in the sector of mobile design. Mobile devices are an inseparable part of our lives now and mobile web browsing has gained great eminence. Having multiple versions of a site, under multiple URLs, to accommodate all of the different mobile devices is the need of the hour. The challenge that every web and app designer now faces is to cater to the variation in screen sizes. From a 52 inch LED to a wrist watch, internet is accessible from all sources and they have to adapt a design approach that is accessible through every available source. Which one is best suited to your site needs, budgets, and goals? But before delving into which one is better, let us first try and understand each of them individually. What is An Adaptive Design? Also known as progressive enhancement of a website, it is centred on usage of distinct multiple fixed layout sizes. When the site detects the available space, it selects the layout most appropriate for the screen. Therefore, when you open a browser on the desktop, the site chooses the best layout for that desktop screen; resizing the browser has no impact on the design. Basically, you’ll need to create different layouts, one for each screen size. For example, there could be a specific layout for mobile phones, tablets, and desktop computers – each of which are made in advance. These three designs wait on standby until someone visits the site. The site detects the type of device used, and delivers the pre-set layout for that device. Amazon, USA Today, Apple, and About.com have been quick to embrace adaptive design. Adaptive is useful for making an existing site more mobile friendly. This helps you to design and develop for specific, multiple viewports. The choice of viewport depends upon you, your company or budget. However, you have a certain amount of control over the content and layout which you won’t have in responsive web design. 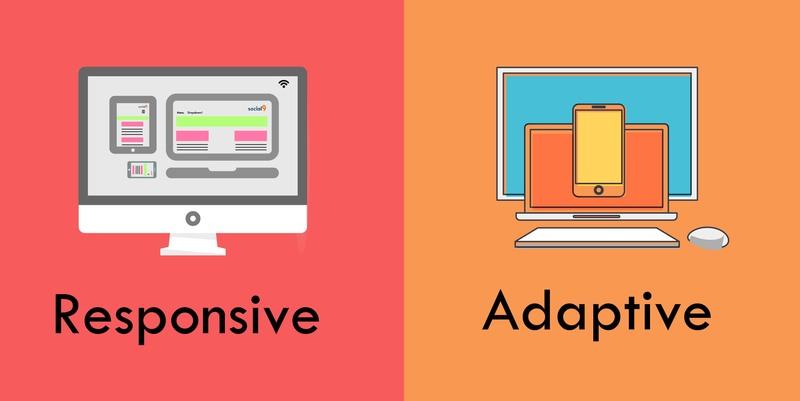 Let us list down some advantages and drawbacks of using adaptive web design. 1. It helps you to design different layouts for different screen resolutions instead of one single layout, which has to be shrunk or spanned to fit different screen resolutions. 2. It is a modern and user-centric approach to web design. 3. You’re not creating the “best”, but the “best for each” one of the devices that your users will be accessing to open your website. 4. Websites using adaptive designs are faster than the ones using responsive. 5. Coding an adaptive design is more time-efficient. 6 Implementing a website design is more cost-effective. 7.Managing it is also easier since you have to design 6 layouts catering to six different dimensions. 8.Testing of a website which is using adaptive design is easier as compared to the one using responsive. Also , it increases the probability of getting accurate results. 1. This design is less flexible. They only work on as many screens as its layouts are able to. So if a new device with a new screen size is released, you may find out that none of your adaptive layouts fit with it well. 2. It usually requires more work. One has to design six different layouts for different screen size widths. 3. Tablets and notebook users are left stranded when it comes to adaptive design because it is desktop or smartphone focused. 4. Search engines have the ability to spot and impose fines on websites displaying identical content. This in return impacts the websites’ SEO strategy. 5. Modification of adaptive sites is also more complex since it’s likely you’ll have to ensure that everything is still working sitewide when it’s time for implementation. The changes in browser width by adjusting the placement of design help the elements to fit in the available space. The layout is ‘fluid’ and uses CSS media to change styles. This ‘fluid’ grid enables the page to resize its width and height to adapt to different screen sizes. You will be designing with all layouts in mind and your focus should be on creating a viewport for mid-resolution. You can adjust for low and high resolutions later on. 1. Even though it does not give as much control as adaptive design but it is easier to set-up and its implementation is less time-consuming than adaptive design. 2. It helps to instill a sense of familiarity among the users because it seamlessly formulates the same design on all available devices. 3. Responsive sites load faster. All those extra layouts in the adaptive design take extra time and hence it loads slower than its counterpart. 4. It is more flexible as all “sizes” can fit into it. Be it a monitor or a tablet, responsive ‘responds’ to each of those. 5. Since there is no duplicity here, so it is SEO- friendly. 6. It’s collection of affordable templates is particularly suitable for brand new websites and content management systems. 7. Responsive web designs do not demand redirection to switch between desktop and mobile site. 8. The cost of maintaining it is also lower as compared to adaptive design. 1. Responsive requires more effort in the process of coding in order to ensure that the site fits each and every screen that accesses it. It requires extra attention to the site’s CSS and organization to make sure it functions well at any possible size. 2. Responsive design offers less control over the screen size design. 3. The download time increases when accessing this through mobile. 4. There is no possibility to fine tune the advertisements showing up on your website. 5. When the design readjusts itself to the screen’s width, there are chances of scattering of elements displayed on the screen. Well, the bottom line is that both responsive and adaptive web design are the same in the way that they are methods for dealing with the reality that websites are often viewed on different devices in different contexts. They just happen to go about it in their own ways. The web designers at Orange County understand that the key here is to understand your audience first and then choose what design technique to adopt. When you understand your audience and the devices they use to gain access to your website, it becomes easier to design. It will also depend on whether one has to work on an already existing site or start from the level. 1. It allows consistency between what a site shows on a desktop and what it shows on a handheld device. 2. It is almost always the safer option to go with for your site. It is a more suitable option for the long run as it will keep adapting itself to the emerging screen sizes. 3. Unlike adaptive design, where one has to design everything from scratch for every display, responsive design offers more flexibility. So, the ball is in your court now. You can choose whatever suits you and your business best. Before I begin talking about the topic in concern, I need to be sure that we are all on the same page when mentioning the term- website content. So, when I talk about “website content” I’m referring to everything that users can actually see on the front end of the website. The exact content obviously depends on the area of your work but like a typical website it would usually include the text on all your pages, images, blog posts (if you have a blog), products (if you have an online shop), events (if you have an events booking website), or any other type of content you might deal in. You cannot do without having online presence these days. But is having a website enough work done to boost your business ? It’s all set, right ?? You have to keep your website alive. The trick is to keep on supplying “oxygen” to you website by keeping it up-to-date with fresh content. A website without any updates is dead and stagnant. It is basically untouched, both by you and your target audience. Content updates are essential for keeping visitors on your site interested in your business and brand and also in increasing your website traffic. I am going to list down 11 reasons why it is important for you to treat your website as a living entity. Search engines love content and especially new content. They like quality posts in their index to satisfy their users. A website that is updated regularly is crawled more often, has more pages in the index and more possibilities to boost SEO. Older information does not get the same respect from search engines. Fresh content makes you eligible for higher search engine rankings which in turn draws internet traffic to your website and helps boost your business. The more frequently you update your website with articles, downloads, and new web pages, the more frequently a search engine will stop by to visit your website. When search engines look at your site more frequently, you have the opportunity to achieve higher rankings based on the content you provide. Search engines use web crawlers to ‘index’ a site. Once indexed, these pages and images will show up in searches. The more of your site that’s indexed, the more likely a prospective buyer will be able to find your site. Indexing is often used synonymous with crawling. These terms are NOT synonymous to each other. Indexing is the second step after crawling and both of them should not be confused with each other. Google needs no introduction. Our lives revolve around it. It is the king of all search engines. So when Google expresses love for your website, you know this is a sure sign that you should add fresh content to your website as often as you can. Google has tremendous influence on webmasters and how websites are constructed. The “Googlebot” that crawls the web is constantly searching for new or updated web pages. It then adds the fresh content to the Google index. If you keep your content updated with valuable information, you boost your chances of being ranked at a powerful rank by Google. Orange county website designers, for this purpose, have a blog on their website and keep it updated with the latest trends in the sector. It’s content is always well researched, reviewed by editors, and you’re not distracted with unrelated ads. Google holds this in high regard. Yes we have realized by now that our website’s content should be updated. But the question is what does “updating” the content mean ? Updated or fresh or new content doesn’t mean something that is new for the web. It is something fresh and new for the website and not found anywhere on the web in similar format. Next step should be writing content that is valuable and worthy. The main aim is not to appear on the first page of Google search results but to have content that keeps the bounce rate of your website low and content that is engaging and well- informed. Remember that is not the quantity of the content that matters here, quality does. So, yes, it is a good idea to update frequently, but keep your content standards high. A ton of low quality content stuffed with keywords, is only going to land you in trouble. Keywords are high on the algorithm chart for search engine indexing and ranking. 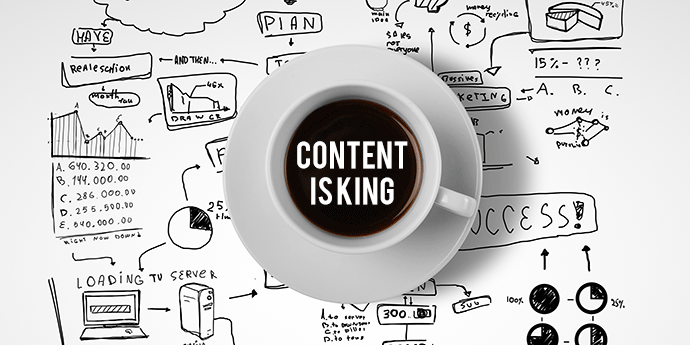 Adding more content is directly proportional to more keywords. And having relevant keywords can actually increase visitors to your site. However you should build your entire SEO campaign around a keyword/s. write quality content over what a reader demands by incorporating keywords, when and where needed. The more informative content you publish pertaining to your industry, better are the chances of your website attaining the badge of authority. When writing on a particular topic, as long as the content is great, you become a stronger authority and people begin to trust you. Thereby, more likely are they to purchase from you. Social media platforms are a great source to build authority and gain the trust of your users. Use ‘blogs’ to grow your website’s content over time. Each new post should be optimized for a different keyword. When practicing social media marketing, the quality of the content you post can make or break your business. Lack of good content can sometimes make all your efforts account for nothing. In the present times most of the people are on the internet, in some way or the other. Internet provides an excellent platform to advertise your brand. Online branding requires consistent and continuous effort. It is only through quality content that the online branding of your products and services can improve your site’s popularity. Updating your website with latest information about your brands objectives is essential for attracting customers and drawing more business. Updated content on your site is a reflection of your brand and its principles. Apart from garnering new audience and business, it is very important to keep your current subscribers updated and informed by posting fresh content regularly. You need to keep them informed about the latest trends in your industry or marketplace. Inform them on the benefits of your product. This helps a potential customer in making an informed decision regarding a purchase. By keeping your audience engaged with fresh content will not only put you in good standings with Google but will also help develop long-term loyalty resulting into returning traffic which is a boon for your website. The internet continues to grow and evolve rapidly. You need to keep up with the pace and keep your site updated. Website content is also subject to changing trends. You can keep your website looking current without embarking on a major redesign by refreshing your content to meet the latest trends. Content with cluttered pages and lots of distractions are a thing of the past. People now demand simplicity and perfection. Web designers at Orange County offer the same. Through growth driven web design their team incorporates creativity and innovation to launch your website to new heights. Above anything else, an updated website is a symbol of your existence which thereby proves to the possible customers that you are functioning. A website with a dormant blog and news and updates section signifies a stagnant business. Updated website content gives you the satisfaction that the website is still in operation, active and that it cares about its customers. I believe that these reasons are enough to enlighten you on the benefits of updating your content to make it appealing and productive for your visitors. So remember to review your content frequently. This will not only make your website more successful but also revamp your brand’s persona and exert influence on a larger audience of internet users.